Nylon and synthetic leather headstalls. 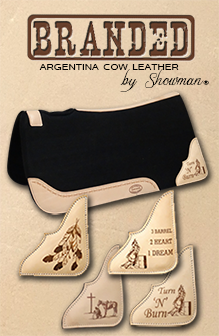 A variety of headstalls that feature hand painted, beaded or rawhide braiding. Various styles of headstalls featuring crystal rhinestone and silver accents. Various styles of headstalls that have a vintage style and copper accents. Futurity knot, full brow band and one ear harness leather headstalls with reins. 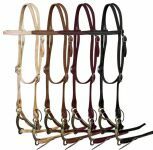 Economy style leather headstalls with reins.